We’re going out to the firing range tomorrow with my cousins, and I wanted to bring some food if we get hungry. 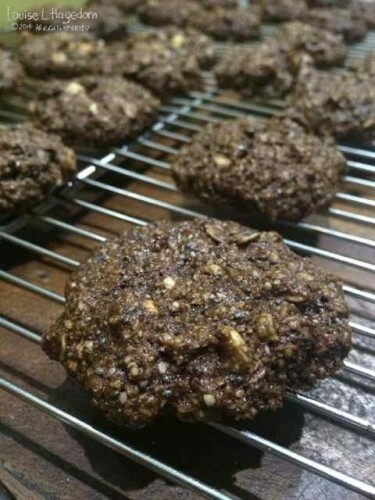 So I created a variation on my Gluten-Free Chocolatey Nutty Oats Cookies with chia seeds. I forgot to add the chocolate bits though, so Reggie commented that they’re more crunchy than chewy. Rica and Billie really like them though. The chia seeds give an added texture to the cookie that nuts don’t provide. We’ll see how they fare at tomorrow’s outing.